To meet the robust demand in the Philippines, Indonesia and India, budget carrier AirAsia is ordering 14 more Airbus 320CEO as announced in the Paris Air Show last Thursday (22 June). The deal is valued at around $1.4 billion at current list prices, although airlines usually get discounts from manufacturers. The 14 additional A320ceos will bring the total number of aircraft from the A320 family ordered by AirAsia to 592. AirAsia continues to be the largest airline customer for the Airbus single aisle product line. Philippines AirAsia chief executive officer Dexter M. Comendador said in an interview that the carrier is looking to end 2017 with 19 planes, as it plans to boost capacity and expand routes. At present, Philippines AirAsia has 16 planes. After a three year absence, Philippine Airlines (PAL) resumes daily service to Kuala Lumpur, Malaysia last June 8, 2017. Close to 800,000 Overseas Filipino Workers are employed in Malaysia. “The resumption of PAL flights between Manila and Kuala Lumpur will help foster economic and cultural ties between the Philippines and Malaysia. Most importantly, it addresses the clamor for a direct service between the two capital cities,” said PAL President and COO Jaime J. Bautista. “As the airport operator, we are always committed towards building a strong relationship with our partner airlines to support its growth, not only in Malaysia but globally. Our mission here at Malaysia Airports is to create joyful experiences for all our stakeholders. Therefore, we will ensure that Philippines Airlines operations will receive Malaysia Airports’ fullest support for any airport facilities and services needed at the terminal,” shared Malaysia Airports Senior General Manager Zainol Mohd Isa. The decision to return to Kuala Lumpur comes after PAL and Malaysia Airlines expanded their code-share arrangement. The enhancements include code-sharing on 12 domestic Malaysian destinations and nine domestic Philippine destinations. Malaysia – Alor Setar, Johor Bahru, Kota Bharu, Kota Kinabalu, Kuala Terengganu, Kuching, Labuan (Sabah), Langkawi, Miri (Sarawak), Penang, Sibu (Sarawak), Tawau (Sabah). Philippines – Bacolod, Cagayan de Oro, Cebu, Davao, General Santos, Iloilo, Kalibo, Puerto Princesa, Caticlan. Passengers may book on Business Class or Economy Class to any of these destinations. Lounge access is also available to Business Class passengers. Current frequent flyer baggage benefits of Mabuhay Miles and Enrich members are also extended. Code-share passengers traveling between terminals in Manila can avail of PAL’s free transfer services. Passengers can choose from any of the daily Manila-Kuala Lumpur flight timings. PR 525 departs Manila every Monday, Wednesday, Friday and Sunday at 7:25 AM and arrives in Kuala Lumpur at 11:00 AM local time; the return flight – PR526 – leaves Kuala Lumpur on the same days at 12:10 PM local time, and touches down in Manila at 3:50 PM. PR 527 leaves Manila on Tuesday, Thursday and Saturday at 11:30 AM and arrives in Kuala Lumpur at 3:00 PM local time; the return service – PR528 – departs Kuala Lumpur on the same days at 4:00 PM local time and touches down in Manila at 7:30 PM. PAL is deploying the Airbus A321 on the route. The 199-seater aircraft has 12 seats in business class, 18 in premium economy and 169 in regular economy. Wireless inflight entertainment can be enjoyed while flying onboard the A321 by downloading the myPAL Player app for free. This will allow passengers to stream movies, TV shows and music from their personal electronic devices. Passengers also have meal options – Asian, Western or Halal meals. Generous free baggage allowance form part of the flight offerings. 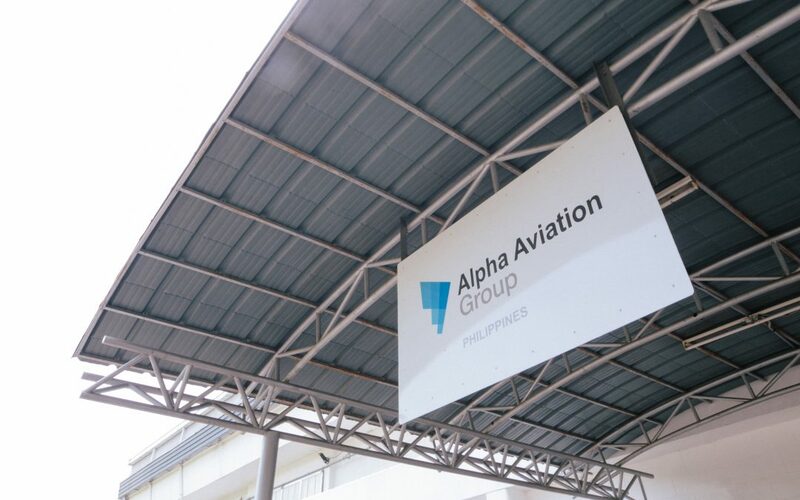 The Airbus A330/340 Full Flight Simulator will be based in Clark, Philippines. The newest investment was made to support the wide body segment, lower the cost of training of domestic and regional airlines. This type of simulator will be the first wide body simulator in the Philippines and the latest simulator with Airbus A340 functionality built globally. It will simulate all the functions of a real Airbus A330 aircraft and has the flexibility to change to Airbus A340 layout when required by an airline.